The year-round warmth and island atmosphere of Captiva Island can be yours each and every year with a timeshare at the Plantation Beach Club at South Seas Island Resort. Browse timeshare resales and rentals and save up to 70% on ownership accommodations today. What’s My Plantation Beach Club at South Seas Resort Timeshare Worth? Stroll along the sandy white beaches of Captiva Island or bask in the sun under swaying palms at the Plantation Beach Club at South Seas Resort. This luxurious offering from the Hilton Grand Vacations Club does Florida vacation right, with a dazzling array of on-site amenities and features to make your stay enjoyable each year. Relax by the outdoor pool just steps from the ocean, or walk a sandy path to swim, surf, and paddleboard your way through a truly relaxing break. Your two bedroom suite at the Plantation Beach Club will cater to your every need. Perfect for groups of six, these family-friendly accommodations come with enough space and desirable in-unit features to ensure everyone's total comfort. Relax on your screened balcony while you watch the sunset over the Gulf, or prepare your own meals in your fully-equipped kitchen. Stocked with modern, island-inspired furnishings and up-to-date electronics, the timeshare units at the Plantation Beach Club at South Seas Island Resort will make your beach vacation dreams come true time after time. 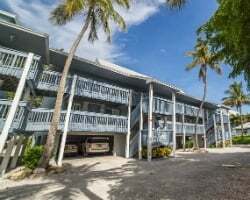 Are you ready to find great long-term accommodations in Captiva Island? Fill out the form on this page to learn more about owning a timeshare at the Plantation Beach Club, or call a representative at 1-877-815-4227. 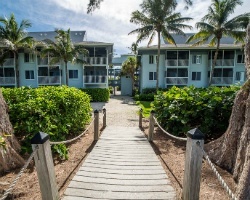 Owning a timeshare at the South Seas Plantation Beach Club can provide you with years of great trips to Captiva Island packed with owners-only benefits and perks. However, purchasing that timeshare on the secondary market can earn you all those great features at a fraction of the price. Timeshare resales are sold independently by current timeshare owners, separate from the resort. This means that ownership intervals at the Plantation Beach Club are priced more realistically—sometimes to the tune of up to 70% off retail costs—giving vacationers like you the deal of a lifetime. Resales at the resort are commonly available in deeded fixed and floating weeks in Hilton's Silver, Gold, and Platinum seasons. You can also find timeshares at the resort available in Hilton Grand Vacation Club points, allowing for a more flexible vacation ownership solution. By narrowing your results by price, unit size, and desired amenities, you can find a unit that matches your vacation preferences to ensure you don't have to settle. The Plantation Beach Club at South Seas Resort is affiliated with the Hilton Grand Vacations Club, giving resale buyers the chance to change the way they vacation forever. While you can't enroll in the club at the Elite level with a timeshare resale, you can still take advantage of some exclusive benefits and privileges to improve your vacation experience. Use HGVC points to make easier reservations at the resort each year, and bank or borrow those points to enjoy different vacation experiences. Convert unused points into HHonors rewards, and redeem them for exciting in-room bonuses at Hilton resorts and hotels. Use your membership within the club to spend points on accommodations at different resorts in the Hilton network and travel the world effortlessly. Exchanging your timeshare can help you get the most out of your resale ownership, and can enable you to travel the world. The Plantation Beach Club is affiliated with RCI, the world's largest timeshare exchange brand. Simply deposit your Captiva Island accommodations into RCI's exchange network and trade for stays at comparable resorts around the globe. Additionally, the Plantation Beach Club has earned a Silver Crown rating from RCI, noting its superior accommodations and amenities favored by former guests. When you exchange your timeshare, you'll likely be able to stay at resorts of similar quality and standards. The Captiva island Plantation Beach Club offers a full beach vacation experience for timeshare owners. Head down to the resort's swimming pool to take in Florida's endless sunshine or to cool off on a hot day. Those who wish to stay active can make use of the resort's exercise facilities, or run the beach just beyond the resort's grounds. Supervised children's activities will give parents the chance for grown-up time, while the water sports equipment rentals will enable you to have days filled with fun out on the water. Around the resort, all of Captiva Island is at your disposal. The beaches are the number one attractions, with pristine shores lining the island and providing plenty of spots to swim, picnic, stroll, and hunt for shells. Charter a deep sea fishing trip around the Gulf of Mexico waters, or embark on a sailing trip around the island. 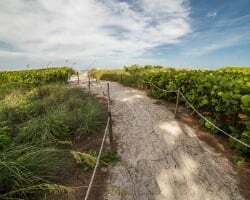 Head south to Sanibel Island to find more beaches and landmarks like the Sanibel Island Light. Trek through the J.N. Darling National Wildlife Refuge or hit the links at the Sanctuary Golf Club. Already Own at Plantation Beach Club at South Seas Island Resort?